Description Change of use from a Laundrette and Office (Use Class B1) to two dwellings units (Use Class C3). Surely time to get on and complete a viable refurbishmrnt. 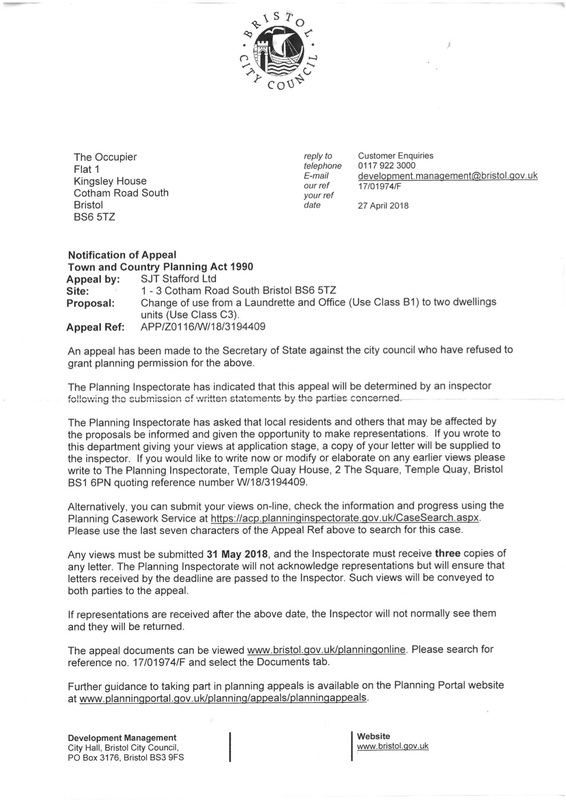 I’m not sure if the group is aware of this but the owner of Staffordshire launderette has appealed the decision to deny his planning application. I attach a scan of the letter.